Jacob Neveu understands the social and psychological importance of the “Battle of the 117”, the highway connecting western Quebec cities Val-d’Or and Rouyn-Noranda. Neveu heard all about the rivalry between the Foreurs and Huskies while living in Rouyn-Noranda and playing bantam hockey there. 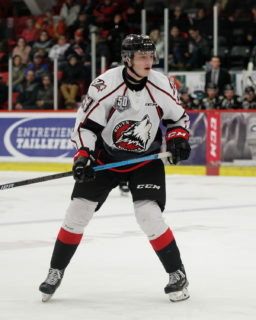 The Huskies eventually drafted the talented defenceman 10th overall in 2014, and the local product made his QMJHL debut that season, as a 16- year-old rookie. Neveu is now part of an overage class that helped the Huskies win nine of their first 10 games to earn the No. 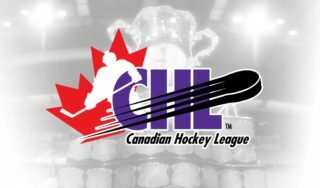 2 slot in week five of the CHL’s Top 10 rankings. Two of those victories came at the expense of arch enemy Val-d’Or, giving Rouyn-Noranda all the momentum entering Rivalry Weekend. Neveu notched an assist in a 4-3 overtime win on Sept. 25, and added another helper in a 5-2 triumph on Oct. 3. The Huskies’ talented 20-year-old trio also includes centre Peter Abbandonato and netminder Samuel Harvey. They, too, have done damage in this year’s Battle of the 117. Abbandonato has four points in the two tilts versus Val-d’Or, while Harvey has posted both goaltending wins. The 2018 calendar year could not be going any better for Huskies head coach and general manager Mario Pouliot. The veteran bench boss guided Acadie-Bathurst to a Memorial Cup championship in the spring, and now runs one of the country’s top clubs. While the Huskies were atop the league’s overall standings after their first 10 contests, Val-d’Or was last overall. 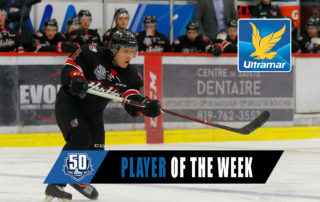 One of the Foreurs’ bright spots, however, has been Felix Boivin. The 20-year-old defenceman averages nearly a point per game with 12 points in his first 13 outings, an effort that included a goal against Rouyn-Noranda on Oct. 3. Boivin played for Pouliot in Acadie-Bathurst for three years before a trade to Victoriaville, leaving the veteran on the outside looking in when the Titan won the Memorial Cup. No one is more motivated to help the Foreurs gain ground and top Pouliot’s squad. But their neighbours to the north were not always the superior side. When Roberto Luongo was a young boy, he would throw a ball against the wall and practice making saves to emulate his hero, Grant Fuhr. The hours of hard work eventually paid off when Val-d’Or drafted the goaltending prodigy second overall in 1995. Three years later, the Montreal native backstopped the Foreurs to their first President Cup championship, a four-game sweep of Rimouski. After two decades in the NHL, memories of that historic victory for Val-d’Or are all the more precious for Luongo, who has never won a Stanley Cup. The Foreurs swept their way to another QMJHL title in 2001, defeating Acadie-Bathurst in four straight. The Green and Gold wouldn’t capture another crown until 2014, and it was far from a sweep. The Foreurs went the distance against Baie-Comeau, with Anthony Mantha potting the game-winner with 52 seconds left in regulation in Game 7. The decisive tally ended a remarkable season for Mantha, who scored 81 goals in 81 games. Two years later, the Huskies claimed their first and only championship, defeating Shawinigan in five. 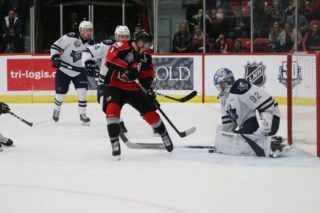 Rouyn-Noranda also reached the 2008 final, losing to Gatineau after starting the postseason with a 4-0 sweep of Val-d’Or. 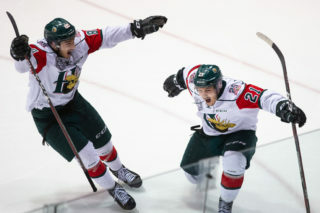 The Huskies and Foreurs have split two other first-round series, with the former winning in 2010 and the latter in 2015.